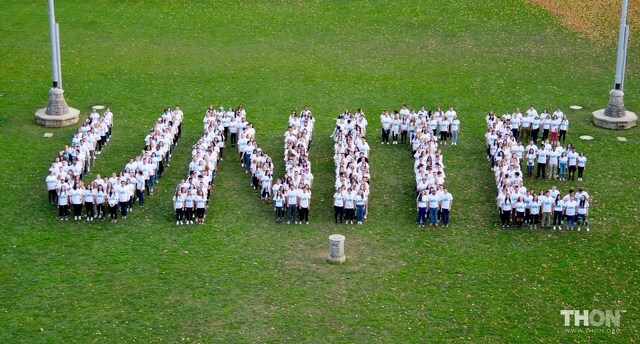 THON volunteers spell out UNITE during the 100 Days Til THON celebration on Nov. 7, 2018. Photo courtesy of THON. THON once again shattered its goal for the second annual “One Day We Will Dance in Celebration” campaign, raising a total of $512,518.36 in just one week. 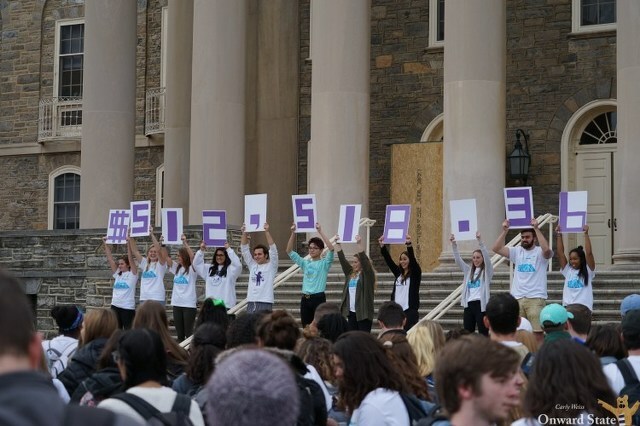 The total was revealed Wednesday on Old Main Lawn following the annual Human Picture for 100 Days ’til THON, which spelled “unite” this year. The 100 Days celebration also included fundraisers, games and activities, line dances and hair donations. The organization hoped to raise $300,000 during its fundraising window, which opened at midnight on Oct. 31 and closed at 1 p.m. Wednesday. For the 2018 campaign, Rick and Susan Sokolov also pledge to match three organizations’ funds based on a lottery system. Organizations received lottery tickets for every $500 raised, and the first ticket pulled was matched up to $7,500, the second ticket up to $5,000, and the third ticket up to $2,500. 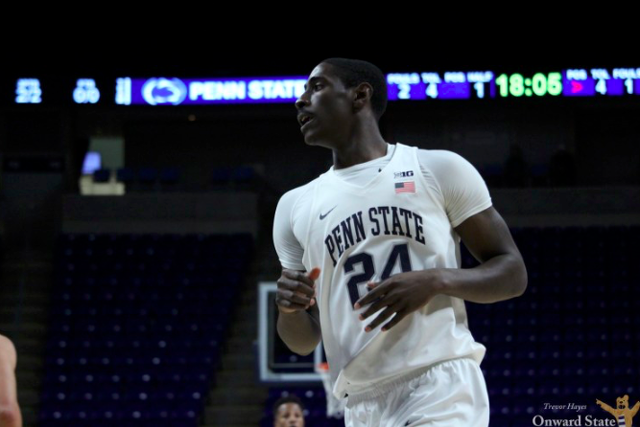 THON's annual 46-hour no-sitting, no-sleeping dance marathon is Feb. 15-17, 2019 in the Bryce Jordan Center.